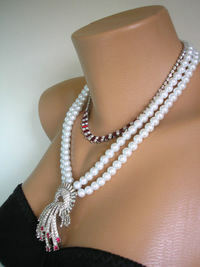 Absolutely fabulous handmade upcycled vintage pearl and rhinestone assemblage bridal necklace. 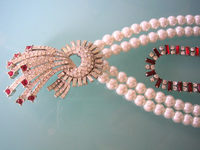 This necklace is made from a genuine vintage 1950s ruby and clear rhinestone choker necklace combined with brand new high quality white glass simulated pearls. The pièce de résistance is the simply stunning Art Deco style vintage pendant made from immensely sparkly clear and ruby red round rhinestones and clear baguette stones. 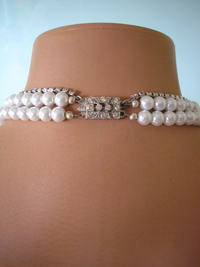 The stones are set in silver tone metal. This pendant was once a vintage brooch which has been repurposed into the perfect focal pendant. 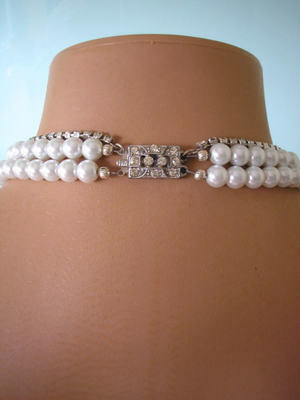 The shortest strand of the necklace measures approximately 15.5 inches in length and the necklace is secured by a vintage rhinestone box clasp. 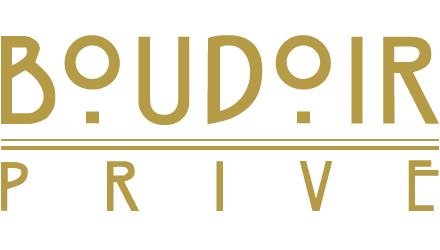 This impressive piece has a nice weight to it and would make the perfect bridal accessory to your specially chosen Art Deco Great Gatsby style wedding gown.